Welcome to University Village Chiropractic! University Village Chiropractic delivers health care services to patients that eliminate pain, improve performance and aid in recovery from injuries. Utilizing the latest technologies and chiropractic techniques, University Village Chiropractic is one of Chicago’s most innovative practices and offers a full range of chiropractic, massage and physical therapy services. It is the only facility in the Chicago region to offer the ARP Wave Neurologic therapy, a transformative treatment to relieve and treat chronic and acute pain and expedite healing and recovery from injuries and other conditions. Drs. Sam Battaglia and Brian Miller bring nearly 30 years of experience helping patients achieve their wellness objectives. 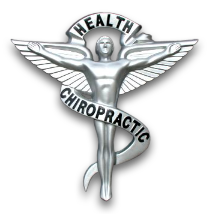 For more information visit www.uvchiro.com.